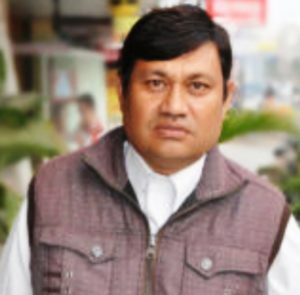 Pradeep Negi, a differently abled teacher from Uttarakhand has placed himself among the top 50 contenders for an USD one million global award. Pradeep Negi is a teacher of economics, social science and computer science at Government Inter College BHEL Ranipur, Haridwar, Uttarakhand. Out of 30,000 nominations and applications from 173 countries across the world, Negi has been shortlisted among top 50 for the annual Varkey Foundation Global Teacher Prize 2018. “It is unbelievable. I am proud that I have been chosen as one of the top 50 teachers. 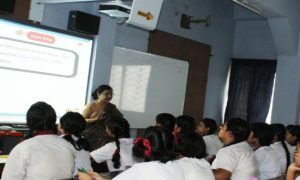 It has motivated teachers in our community,” said Mr Negi. “I am handicapped but it hasn’t stopped me from succeeding and I am glad that I can inspire other disabled people in India. I have developed a lot of innovative work in ICT for my poor children and I am glad it has been recognised,” said Mr Negi, who was physically disabled at the age of two due to polio. Overcoming his adversities, Negi used technology to make subjects like economies and social sciences compelling to the students. He has been chosen for his fighting spirit. Negi has helped train more than 1,200 teachers in his state. “Congratulations to Pradeep Negi for reaching the final 50. I hope his story inspires those looking to enter the teaching profession and shines a spotlight on the incredible work teachers do all over the world every day,” said Varkey Foundation and the Global Teacher Prize founder Sunny Varkey. “We intend to keep this momentum going as our journey continues to return teachers to their rightful position as one of the most respected professions in society,” he said. The Global Teacher Prize was set up to recognise one exceptional teacher every year who has made an outstanding contribution to the profession.